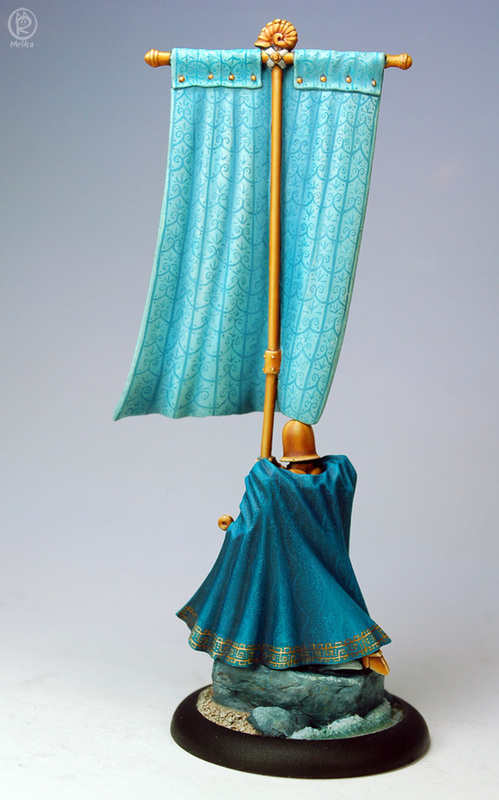 This is the Imperial Standard Bearer from Chroniques de la Lune Noire. 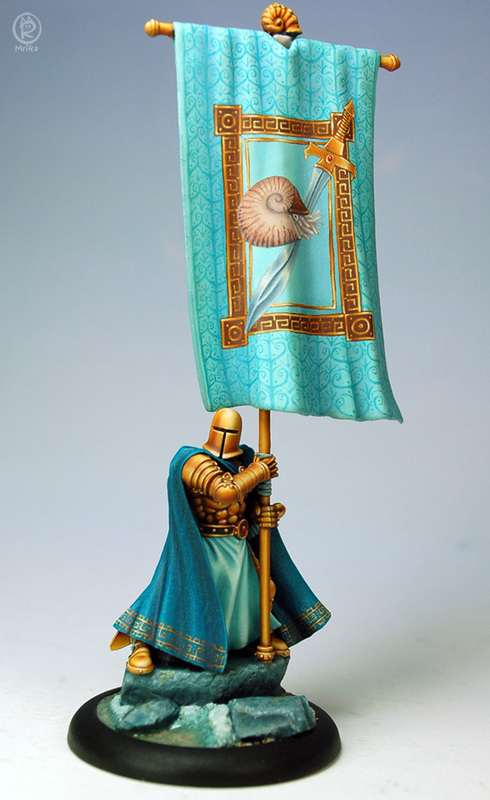 I wanted his heraldry to be unique, and hey, who doesn’t love the noble nautilus? 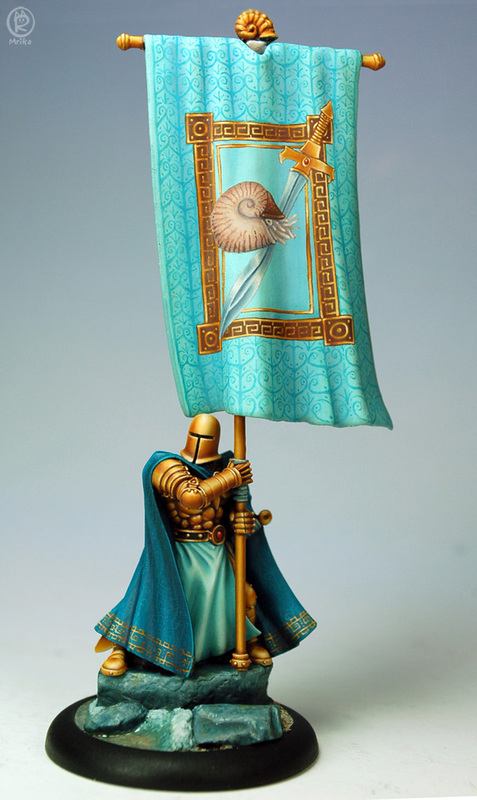 This set me up for an adventure since his banner originally came with an unremarkable griffin sculpted on. My scalpel made short work of it, but since he’s resin not pewter, the banner looked pretty chewed up. I learned a valuable lesson: before hacking up your (commission to Mr. G. Martin) minis make sure they weren’t discontinued years ago. It ended well, since I was able to smooth the banner out with a cocktail of shellacs and varnishes.